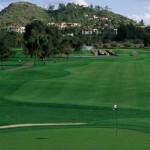 Vistoso Golf Club is a championship desert golf layout located towards the base of the Catalina and Tortalita Mountain Ranges. 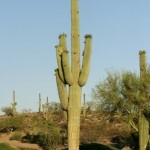 The conditions are impeccable and the layout will take you on a journey through some of the most marvelous desert terrain located in the Sonoran Desert. 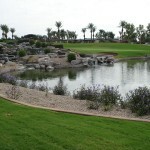 Torres Blancas Golf Club is nestled at the base of the Santa Rita Mountains and features three lakes and numerous sand traps. 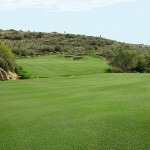 Torres Blanca’s four tee placements make this course enjoyable for golfers of all skill levels. 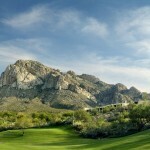 Heritage Highlands Golf Club is located in the shadows of Tortolita Mountains nestled deep in the Sonoran Desert. 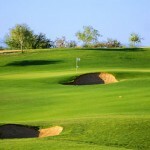 The golf course demands accuracy in order to score well. It’s a true test of risk/reward. 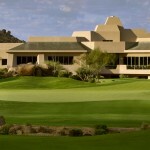 The El Conquistador Country Club is home to 36-holes of true desert style golf, and boasts amazing views of the Santa Catalina Mountains as well as natural desert terrain. 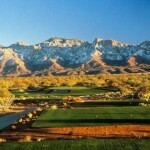 This desert gem offers spectacular golf conditions that will not break the bank. 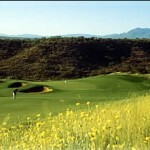 Canoa Ranch Golf Club is located in Green Valley, AZ just 35 minutes south of the Tucson area. 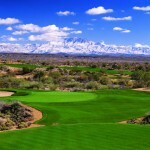 This par 70 desert golf layout offers multiple elevation changes that wind into canyons and snake through vast desert terrain.